An illiberal state is nearing completion in Hungary. Hungary remains part of the European Union (EU), but its actions contradict the core values of the EU. Although constitutional institutions do exist, they no longer act as checks and balances on executive power. Instead they merely facilitate its operation. Over the past years, legal reforms have weakened independent institutions and independent media, universities, human rights and civil society organizations have been under attack. Backed by its parliamentary supermajority, the government has turned to dismantling the last remaining and independent defenders of pluralism and of the rule of law by enacting new constitutional reforms and laws. Again independent institutions and voices are the first targets of this renewed attack. For all the reasons mentioned above and explained in details here, it is time for citizens from all over Europe to claim the right for Hungarian citizens to fundamental freedoms as guaranteed by EU Treaties. In solidarity with Hungary, we call upon all citizens to fill in the form and call upon their national MEPs to back the Report which will be voted next week in the European Parliament (on 12 September). Hence, the Parliament would call for the Council to activate Article 7(1) against the Hungarian government. It is the only tool to prevent the authoritarian shift in the country and stop increasing attacks on fundamental freedoms. I am writing to you in view of the forthcoming vote of a Report on a proposal calling on the Council to determine, pursuant to Article 7(1) of the Treaty on European Union, the existence of a clear risk of a serious breach by Hungary of the values on which the Union is founded (A8-0250/2018). We blong to the European Union for a reason: we believe in shared values and walk along a common path, built on respect by all member states for human rights, the rule of law and fundamental freedoms. But the current government in Hungary has stepped off this common path, curbing media freedom, freedom of association and undermining the independence of its courts. The increasingly autocratic leadership of the Hungarian government has put at risk the fundamental freedoms of many Hungarian citizens. 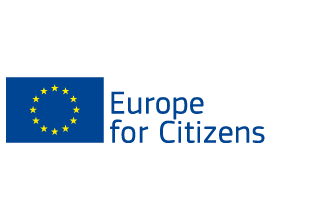 I am therefore urging you, in my capacity of a European citizen caring about our common values, to vote Yes on the Report and so urge the Council to activate Article 7(1) of the European Treaties, which empowers members of the European Parliament to take action. As an elected representative committed to defend the rights of people across the European Union, it is your responsibility to stand up. I therefore call on you to support the adoption of the Report.